Former Nunavut MP Leona Aglukkaq is planning a comeback. The Conservative Party of Canada announced today that the territory’s former MP will once again represent the party in Nunavut during this fall’s federal election, which will be held Oct. 21. Aglukkaq, who previously served as Nunavut MP for two terms, was acclaimed to the nomination, the party said in an April 12 news release. “The next election is in just a few short months, and I’m going to work hard every day to help show northerners and Nunavummiut how an Andrew Scheer Conservative government will help them get ahead, not just get by,” Aglukkaq said in the release. Aglukkaq was first elected as MP in 2008, and again in 2011. During that period, she served as a minister of health, environment, minister responsible for the Canadian Northern Economic Development Agency and minister responsible for the Arctic Council. In the 2015 election, Aglukkaq dropped to third place with just 24 per cent support, as then-Liberal Hunter Tootoo won the Nunavut riding. But by early 2016, Tootoo became embroiled in a scandal over an inappropriate relationship with a staffer and was removed from the Liberal caucus. He has sat as an independent ever since. The Conservatives have led the polls since February: CBC’s latest polling aggregate has the party ahead with 36 per cent support, compared to the Liberals’ 32 per cent. The other federal parties have yet to announce nominated candidates for Nunavut. 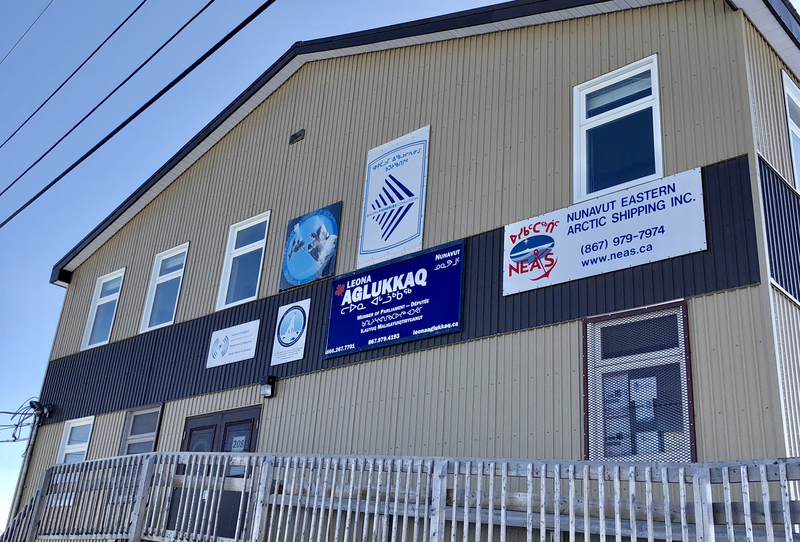 Megan Pizzo-Lyall, a manager at Atuqtuarvik Corporation in Rankin Inlet, is seeking the Liberal nomination for Nunavut, though the riding association has yet to hold a nomination meeting. Tootoo has not yet indicated whether he plans to seek re-election. Yeah Leona! You will do great! We showed her the door by making sure she finished third place last time. Some people never learn. Give her some newspaper to read already. What did she do for Nunavut. 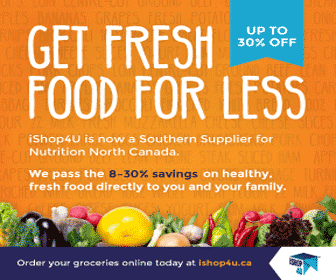 She got the nutrition North program in place, so thank her for creating food insecurity. She cut healing programs for Inuit. I shall vote for the NDP this time around. Yuk – try identifying yourself so we all know how ill informed you are. If for one moment you think the Liberal or NDP Lite as some refer to them brought you the new ports, you are wrong. They and any other things were Conservative approved projects. Tell me anything the Liberals have brought here. Other than Hunter of course. LOL. The best post in a while. Got me laughing. WTF-True-dough, ran his party to the dumpster. Basically a walk in the park for the conservatives next election and this is what we have for an PC representative? I pride myself to be a conservative, but after her bullying, her theatrical crap at the parliament, and clearly in for herself more then any other member. No thanks. Nunavut Liberals, don’t let me down!! Who is the NDP running? I’ll tell ya who! It’s the winner, winner, chicken dinner! The trademark, not the trademark. The best thing about a democracy is having a choice of candidates. The worst thing about a democracy is having such a poor choice of candidates. Wth?! LA & MPL as possible choices as MP. Sad sad sad☹☹☹ Guess NU will be voting NDP or Green. A snowboard instructor just fired a doctor and a lawyer!! Only in Canada you say!! And you want to put the snowboard instructor back in power?? I certainly have more faith than that. We actually know people and live with people who suffered by being the invisible victims of the Aglukark – Harper regime last time around. We shall do whatever is necessary to keep them out again. Why do you thinks she did so poorly last time around, because we knew we could do better then the harm they caused. What about the mailroom stock boy? He ran Canada into the ground for a decade, cutting funding, cutting jobs,, cutting programs while giving the rich corporations tax cuts. The trickledown effect doesn’t work only for the rich. I agree with you Paul, after the last 4 years of Trudope i would vote for Homer Simpson if ran against the Liberals! Why do right leaning baby boomers get so personal when it comes to Trudeau. You call him a snowboard instructor or a drama teacher as if this is a horrible thing. The alternative is a party full of Scheers, Harpers and Kennys–career partisan brown nosers who have never really lived outside their bubble. Stick to your petty mild mannered trash talking, young voters will keep dismissing people like you as irrelevant. Thank you for your comment. I think you are right. I am surprised by the venom and malice thrown at our PM from all the media. We need compassionate, smart and humanitarian actions to resolve our incredibly dire situation. Climate change is our biggest threat, and our Arctic the most vulnerable. I’d like to vote for someone who understands and value Nunavut and the Inuit. Surely our political parties can stop their endless, cynical complaining and give some thought to how our Arctic is being murdered. No matter what policies or party direction Leona will sell you out. She will trample on your life style for notoriety. She is a wolf who doesn’t know how to use sheep skin as a cover. Only thinks for herself and her friends. One point of correction, Aglukarks and this woman Aglukkaq are black and white. Total opposites. Not as black and white as you want to believe. A WikiLeaks cable suggested the U.S. government viewed former prime minister Stephen Harper’s talk about Canadian Arctic sovereignty as little more than empty chest-thumping designed to win votes. But it also said the Harper government had done only scant implementation on pledges such as increasing surveillance over the Northwest Passage. “Conservatives make concern for ‘The North’ part of their political brand … and it works,” says the note, titled Canada’s Conservative Government and its Arctic Focus. I hope everyone does not have a short memory, I am still getting over those terrible years of Leona and Harper, all the cuts made to jobs and programs, funding, now with ultra right wing supporter Scheer as the head of the CRAP it is worse then having Harper. I can’t support Scheer and I still remember how Leona was and I can’t support her. We need good candidates for the Liberal’s and/or NDP. Who introduced the Phenix system that it takes months for federal employees to get paid? I just wasted two hours of my day trying to get nutritional food at the Iqaluit market. This is what Leona got for us. We miss our food mail program were getting nutritional food was possible, not once every blue moon. Rather be reading my Saturday paper, but Leona took that away. ABC everyone! I will give Trudeau credit for one promise kept, and that is the legalization of recreational cannabis. I have no doubt that this would never have been done under a Conservative government, and I still fear that the legalization will be repealed, or severely limited under a Conservative government. Lest we forget “Dennis the Menace” Patterson delaying the legalization for months so the Senate in their wisdom could pontificate for another three and a half months. I’m still ticked that July 1st will only be Canada Day, and not both Canada and Cannabis Day. I do wish that we had a “None of the Above” option, which would require completely new candidates to contest an election if it was the most popular option. I would say Justin Trudeau really has the north in his heart, (unlike the Her Highness) mostly because he’s gone on a trip to Kuujjuaq with his father when he was a kid. 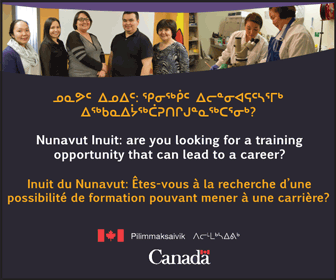 That is a benefit to us Nunavimmiut. nunavut is a young territory. our elders and our people with the example of leona aglukkaq federal government will just use us again and travel to nunavut many times making it look like theyre bullies. we dont need any super powers running for government, but hunter tootoo where youre at youre just fine. It wd seem that NU convincingly rejected Leona A. in the last election so why would she run again? In the intervening years has she done something outstanding for NU that would make the electorate vote her in? Sounds like she is simply an opportunist who misses the travel, limelight & big $$. If the candidates are that bad, stand up and throw your ‘HAT’ in the ring and be counted, otherwise use logic and facts to back up your statements. I ran several years ago, did not get nominated, but it opened my eyes to the indifference that people were experiencing due to the lack of real facts about the candidates. Both major parties need a jolt of adrenaline right now. Hunter aside from his office romance debacle was in fact a lustreless MP. He had no charisma or presence and basically acted like a politician who had someone else telling him what to do and say. I guess he had the TooToo name behind him to throw a spotlight on him but personally I did not find him to be a very good politician, he lacked substance. Leona came out of the gates running. She was very intelligent and capable and looked pretty good first couple of years as Minister of Health with some pretty tough issues to deal with for a newbie. Unfortunately, having to toe the line on contentious issues in the Harper regime wasn’t going to win anyone any medals. That never plays well with the electorate. Both parties will need fresh faces and new attitudes if they want to win this election. Maybe MPL will turn out to be the right candidate for the Liberals. Too bad however that anyone’s nomination will be overshadowed by the SNC Lavalin scandal and it hasn’t been long enough for anyone to forget what the Harper government did to the country.Might be a good idea to sit this election out until the climate is friendlier. I think there very well might be a lot of apathy this election. I already hear a lot of people say they won’t bother voting. They have lost interest in politics period. 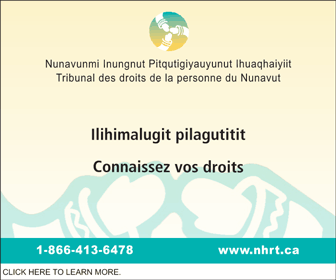 The only person in Nunavut who will benefit from Aglukkaq winning would be Aglukaaq herself. While I know that the current Liberal government has done little to advance the notion of reconciliation, they have done more than the Conservatives did in the 12 or so previous years they were in power. It is far better to elect an opposition member of Parliament in Ottawa who has the best interests Nunavut and Inuit in mind than to elect someone who has clearly demonstrated that she is ready willing and able to abandon all pretense of caring in exchange for power. In 2006, the first year of Conservative rule, the GN received $890M from Ottawa. By 2015, this had ballooned to $1.54B. This does not include all the one off housing funding and such we got along the way. For all the talk about policy and perception, Nunavut does well fiscally when we elect someone into the governing party, and better still when that person is in cabinet (and stays there). Under the Grits, for all their high minded plans, cannot implement anything worth a darn. They have been so ineffective in rolling out their Investing In Canada Plan, it has caused the territories to lapse $193M in capital funding. The main question Nunavummuit will realistically ask is whether the Conservatives are going to win the next general election. If people think the answer is yes, then they will vote for Aglukkaq. And for those that belly ache about the Food Mail program remember that in 2006 the Conservatives added $27.4 M (40% increase) to the program. Only then did they respond to a barrage of calls for program reform made by northerners. Reform we wanted, reform we got. Just because the term Food Insecurity was coined in the mid 2000’s does not mean we were anywhere close to food secure in the past. You can’t buy our votes on a horrific record of the recycled candidate. We have seen how little we matter to the CONSERVATIVE candidate. We ain’t voting for her EVER again for anything.